Every couple of months or so, I get hit with this huge creative block. It’s like clockwork; always guaranteed to come. 95% of the time, writing and photography come easy to me. The other 5% of the time I can spend hours working on a blog post and not get anywhere. My photos look like crap, even though I know very well how to use my camera in pretty much all circumstances (dark, bright, sunny, gloomy conditions) everything is just off. I can know exactly what I want to write about, but once sit down with my laptop, the words just don’t seem to come as easily as they usually do. It’s even worse when you feel like you DO want to get something done and can’t stand being still or unproductive, but you don’t seem to get anywhere. I know that I’m not the only one who experiences this once in a while. I think it’s just a part of having a creative outlet. You count on that creativity and inspiration to always be there, but the truth is, you can’t. 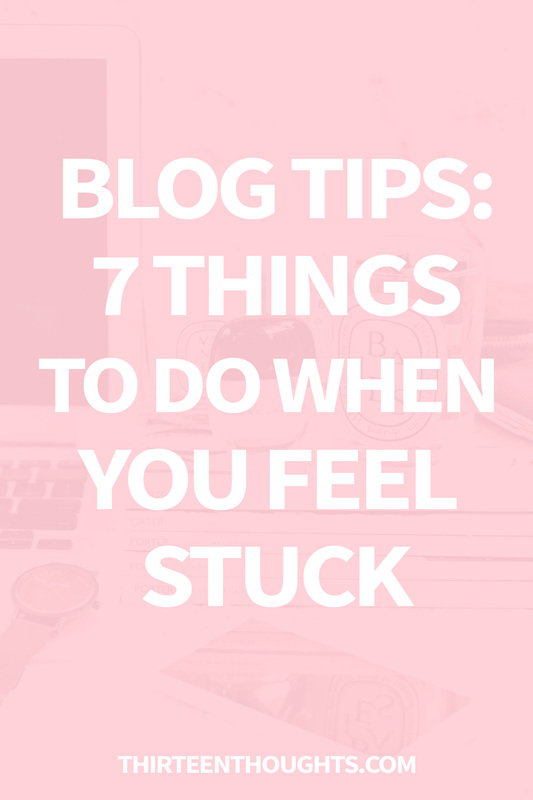 So how do you get past feeling stuck? This is the first thing I do when I start feeling that creative block coming. Sometimes this is all you need. Step away from what you’re doing; whether it’d be writing, cooking (if you’re a food blogger), taking photos, etc. Put some distance between yourself and the thing/s that you’re working on and do something else, something that has nothing to do with blogging. Don’t be afraid to write about something different from what you usually do. What are some of your other interests? I know that I’ve already said this about 103456 times, but I originally started as a beauty blogger. I really wanted to start writing about things like blogging, or wellness, share some of my personal struggles (like anxiety) and how I overcame them. BUT, I was SO afraid. I’d think to myself “what makes me an expert?”. Well, when I started writing about those things, in addition to beauty, my blog took off and my little blog family expanded substantially. There were also some things that I tried to write about, but failed miserably; like writing about fitness. I love working out and staying healthy, but writing about it just wasn’t my thing and it didn’t feel right. See, until you try something new, something different, you won’t know whether or not it’d work for you. So, you either succeed at something, or you’ll fail but you’ll learn a lesson. When you don’t feel like writing, work on a different aspect of your blog. Update your social media profiles, make sure all of your links work (especially in Disqus- I come across broken blog links in my comments all the time, therefore, I can’t visit your blog!). Improve your blog design, update your “about” page. Go through some of your old posts and make sure to deep link to your other/newer content. There is still plenty to do around your blog, even when you can’t get yourself to write. I already talked about maximizing your content in this post. Chances are, your audience is larger than it was a year or two ago. Go through some of your old articles and see if there’s anything that you loved working on, but didn’t get the attention it deserved. Edit it, update it, add some links and re-publish it. I’ve done this a few times and some of my re-published posts were included in Bloglovin’ newsletters which brought a ton of traffic and new readers to my blog. If I haven’t tried re-publishing that older content (that a lot of people seemed to like and appreciate) it’d stay buried in my archives. Another way to maximize your content, is going through your old posts and updating them by changing featured images, adding a Pinterest-friendly image and re-sharing it on social media. This is a great way to make your content work for you and you can bring traffic to your blog, without having to write anything new. This is a great way to find some inspiration. Read a book, a new blog, a magazine; read everything that you can get your hands on. Reading will not only help you find inspiration or create ideas, but it’ll also make you a better writer. You cannot expect to be a good writer and write great posts, if you don’t read. 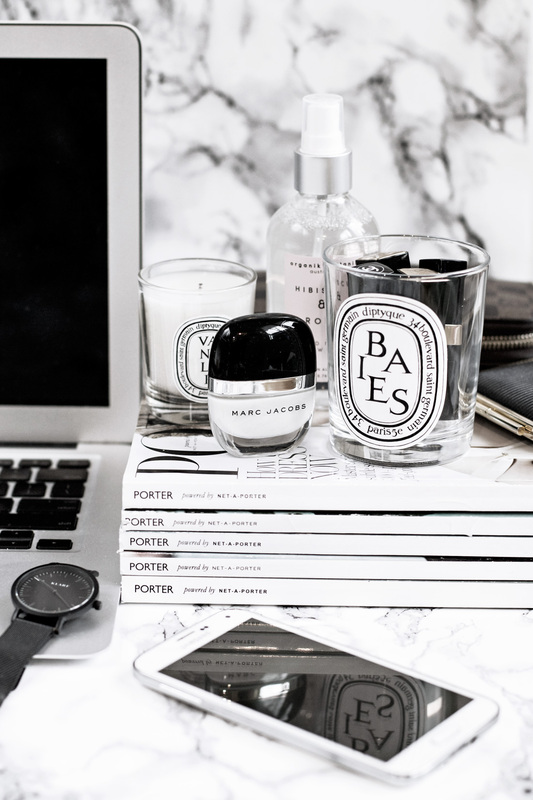 If you always do your blog work in the same spot, try to switch things up. You can try going to a different room, or you can go to a cafe, or a park if it’s warm enough. During spring, I love grabbing my laptop, sitting in my yard and writing. I think that some of my best posts were written from my favorite spot in my yard. It’s a completely different experience than writing when sitting at my desk. I can smell the fresh air, feel the sun on my skin, hear the birds chirping. It’s really great to switch it up once in a while. …minus the laptop. Nowadays, there’s a pill for everything. Feeling tired, feeling slightly nervous, upset, sleepless. It’s just like the diet thing that I mentioned in this post; we all know that all you need to lose weight is a mix of healthy diet and exercise, but we pop diet pills like candy, because it’s easier. Well here’s something that can make you feel better when you feel stuck and/or overwhelmed: breathing. Go outside, close your eyes and take a deep breath through your nose, while counting to four, then exhale through your mouth, while counting to four. Fresh air and spending time in nature can work like a mini getaway. We’re constantly connected. Constantly surrounded by noise; from our phones going off, TVs, computers, laptops, radio. But when you go for a walk in a forest, or go for a run in the park and take in all of your surroundings, hear the wind, feel the sun and the air- you become more still. As you tune out all that noise that accompanies you pretty much 24/7, you get clarity. That, can be all you need to get past feeling stuck. 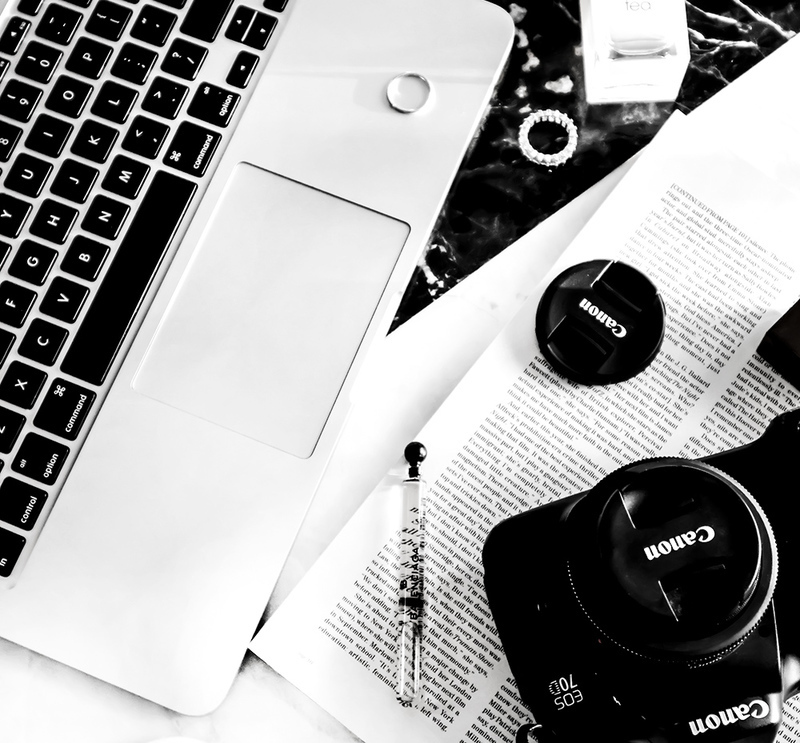 If you want to know how to start your own lifestyle blog for just $3, make sure to check out my step-by-step guide right here.